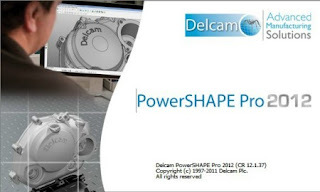 Description : Delcam PowerSHAPE - a powerful system of a hybrid 3D modeling for product design complex shapes and for the preparation of CAD-models under production. Combines the tools, frame, surface and solid modeling, with the ability to work with relief and triangulated models. The strongest part PowerSHAPE - this surface modeling and the opportunity to work with any data from all design packages. In contrast to the 3D design packages, this creates an accurate model for the further transfer it into production. PowerSHAPE Pro in addition to the core functionality PowerSHAPE includes a set of tools for designers that includes tools fotorealistiki, morphing and blending of facet models. The hybrid simulation: A hybrid simulation; Through intelligent cursor geometric constructions are carried out quickly and easily The surfaces of the body and can easily be modified Possible Boolean operations between solids and surfaces Supports a solid story elements Ability to import and work with data of poor quality, even with the use of solid-state Simulation: Global modeling; Provides a fully integrated design approach Changing the design of products is quick and easy Complements the hybrid simulation tools facet modeling and reverse engineering Ideal for the development of product brands and products textures and decoration Drafting: Drafting Delcam; Fully integrated creation of drawings Generate drawings from 3D models Support for drafting standards: Standard, BSI, ANSI, DIN, BDC, JIS, plus the ability to customize standard Intelligent cursor in the construction and quick dimensioning Associative modeling, based on Active Render: Delcam Render & PowerSHAPE Pro includes a module for creating photorealistic images, which can be useful for designers to work out the appearance of products. The module allows you to create a scene, have the lights, look for color combinations.